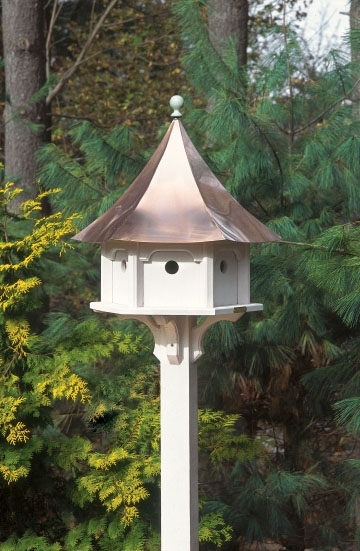 Our classic designed Lazy Hill Bird Houses are beloved by birds and humans alike! 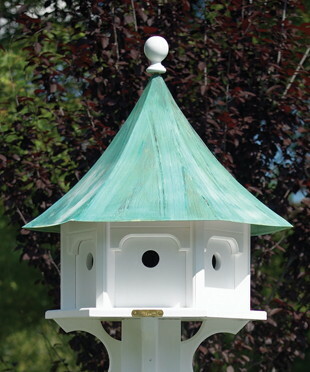 The finest lawn and garden accessories on the market, these houses are proudly made in America from solid cellular vinyl, for durable, low maintenance outdoor elements you and your wild birds will enjoy for years to come! 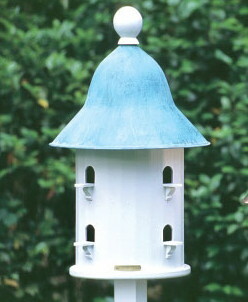 *Assembly Required- These products require assembly and installation. 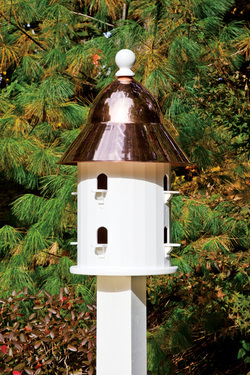 Manufacturers instructions for assembly and installation will come with the product. This beautifully crafted copper roof bird house features graceful lines that are sure to enhance any outdoor space with classic elegance! 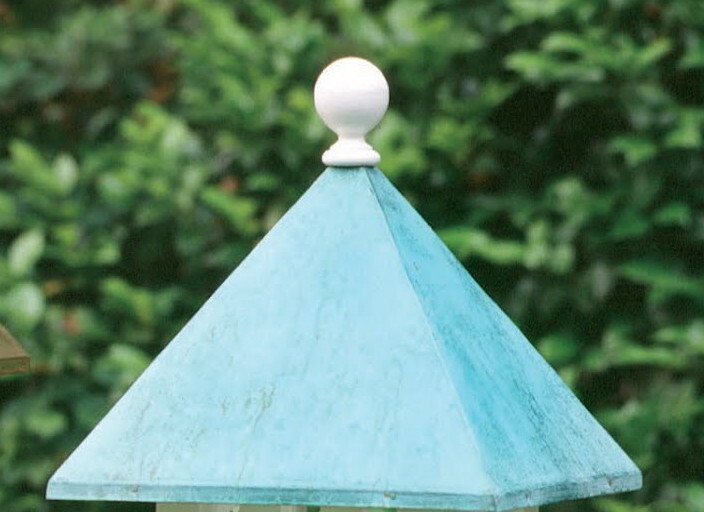 We stand behind every product - Your satisfaction guaranteed! 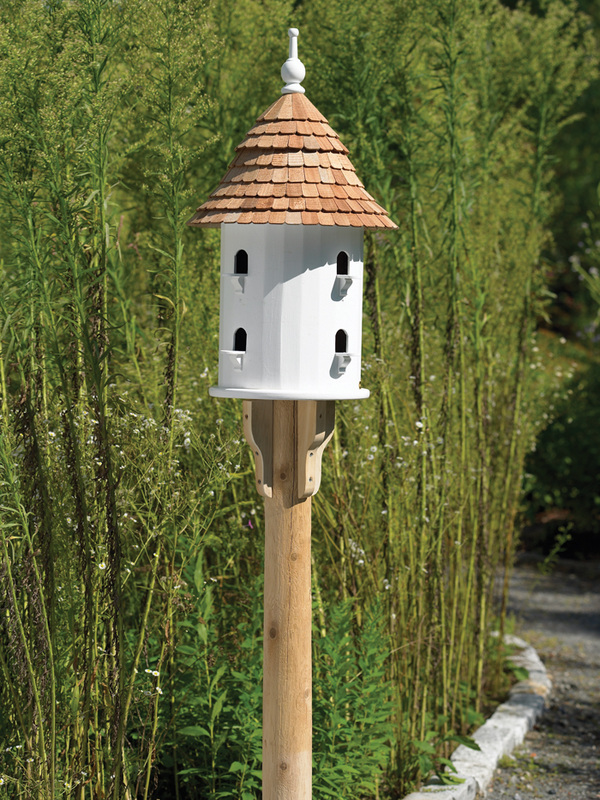 Our best selling Bird House and signature piece, this adaptation of an English dovecote makes an excellent focal point in any yard or garden. 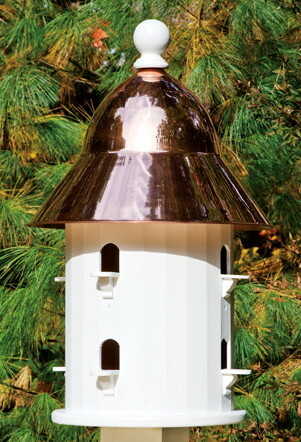 This handsome version of the Lazy Hill House is adorned with a bell shaped, spun polished copper or blue verde copper roof. 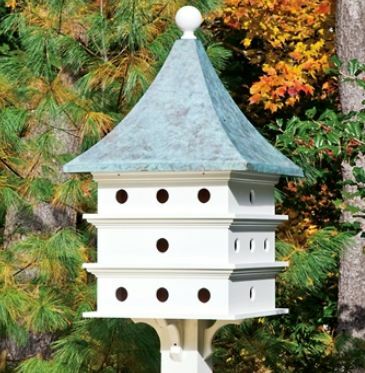 The clean lines and simple theme of this feeder are sure to add simple beauty to any space while providing spacious living quarters for wild birds. 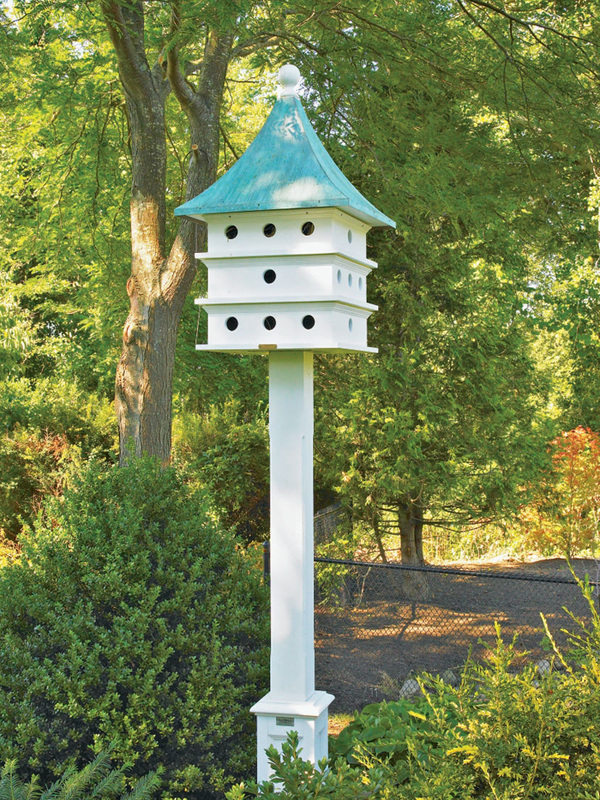 Perfect for a garden wall, exterior house wall or fence, this flat bird house is also a lovely addition to your lawn or garden mounted on a post! 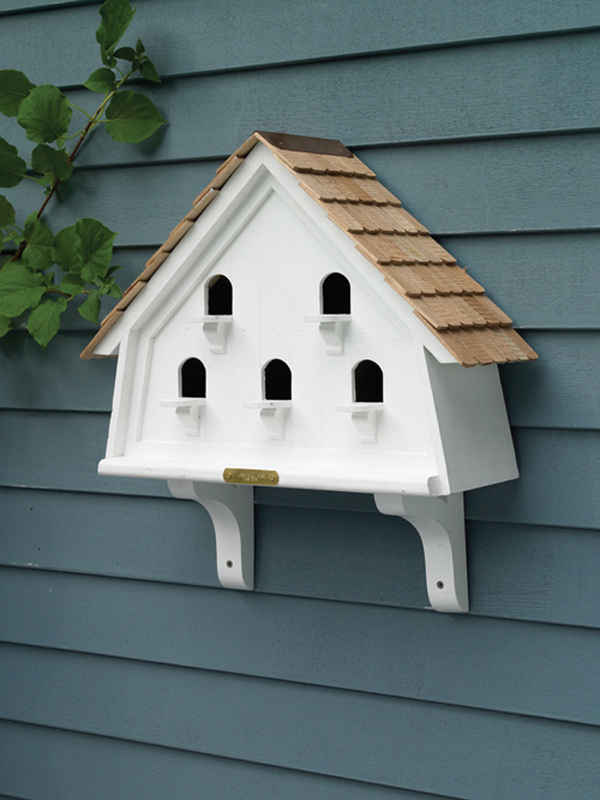 This house creates a paradise for your Purple Martins, while adding a beautiful focal point to any yard or garden! 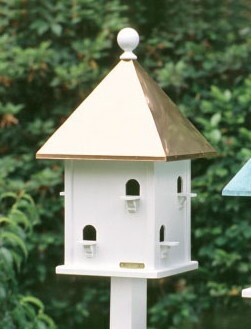 The body is made of solid cellular vinyl, with finger joints on the corners.